Yoga has provided a way for patients, during any stage of their cancer journey, to exercise in a meaningful way while honoring their current physical limitations. Connecting mind, body, breath and spirit can serve to keep patients on a path to overall wellness. As an organization committed to overall wellness, yoga should immediately come to mind. The oncology department partnered with the Advocate Good Shepherd Hospital Health & Fitness Center to offer a program that patients could embrace during or after treatment, even during treatment if they choose. Yoga can be the ideal balance of whole body exercise, engaging the mind, breath and body all in one session. With an outstanding yoga program in place, the Fitness Center was proud to work side-by-side with the oncology department to create a dedicated class for cancer survivors: Healing Yoga for Cancer Survivors. 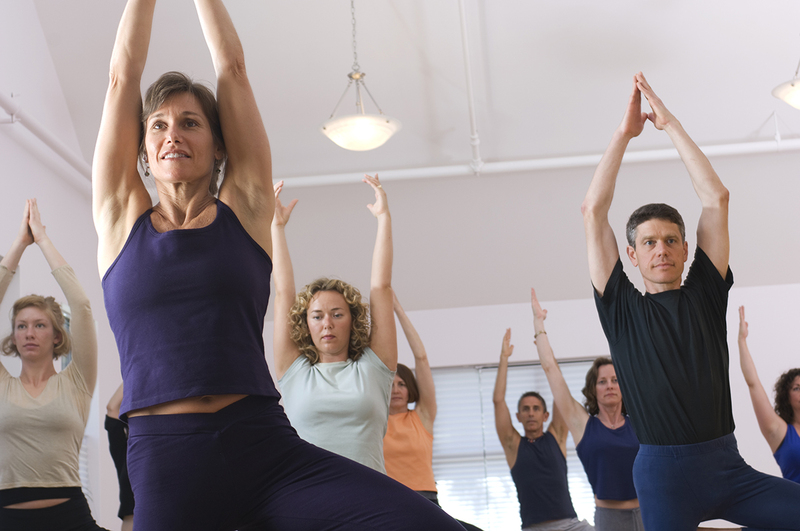 Yoga provides a platform for the hospital to reach out to the community and recognize the overall wellness of patients, not only their cancer treatment. Yoga has provided a way for patients, during any stage of their cancer journey, to exercise in a meaningful way while honoring their current physical limitations. Connecting mind, body, breath and spirit can serve to keep patients on a path to overall wellness.